Mathematician Sherry Towers, whose findings appear in a paper published in the April edition of the Journal of Archaeological Science Reports, was recently quoted on her research in an article by Mcclatchy DC Bureau about her findings on the old temple in Mesa Verde National Park, Colorado. In a recent paper, an Arizona State University mathematician examined aerial imagery and concluded that the Sun Temple contains sophisticated geometric patterns, including Pythagorean triangles and other shapes used by other ancient civilizations. The mathematician, Sherry Towers, also concluded the Sun Temple’s builders had used a common unit of measurement – roughly 30 centimeters – in designing the site. The Great Pyramids in Giza, the Parthenon in Athens and Chichen Itza in Mexico have something in common. Besides attracting hordes of tourists, all of these architectural wonders appear to use the golden ratio. This mathematical number is often written as 1.618, the first few digits of its infinite decimal form. Expressed another way, two quantities —let’s call the larger one “a” and the smaller “b” —are in the golden ratio if “a is to b” as “a + b is to a.” The result is a composition with aesthetically pleasing proportions. The Sun temple was already severely deteriorated when it was first excavated in 1916. The ruins are the remnants of one of many sacred sites found across Colorado. It’s believed a people called the Anasazi built the temple more than 800 years ago, and belonged to the same lost tribe and culture who constructed the better-known Chaco Canyon site in New Mexico. The architecture of the Mesa Verde Sun Temple has noted similarities with the Pueblo Bonito building at Chaco Canyon which was also built by the Anasazi . Both sites incorporate solar and astronomical alignments suggesting they were settlements belonging to a now vanished Pre-Columbian society that practiced the religion of the sun in North America and may have descended from the lost civilization of the sun. The building style of the Anasazi is remarkably similar to that seen at the Machu Picchu site in Peru — as is the use of astronomical alignments and establishment of settlements in hidden remote locations. Looking down on Cliff Palace from the opposite side of the canyon, which is where the Sun Temple is also situated. Image by John Fowler from Placitas, NM, USA (Cliff Palace) [CC BY 2.0], via Wikimedia Commons. Her latest research may be the first to focus on the geometric principles encoded in the site’s construction though, finding “apparent evidence that the ancestral Pueblo peoples laid out the site using the Golden rectangle, Pythagorean 3:4:5 triangles, equilateral triangles, and 45° right triangles”. Along with alignments to the sun and stars, geometric principles (sometimes known as sacred geometry) appear in the construction of a number of sacred sites across the world where the knowledge of the ancient religion of the sun was practiced, most famously in ancient Egypt. Ancient builders may have employed mathematical principles, along with astronomical alignments, to harness and express universal spiritual principles embedded in creation that were celebrated in the religion of the sun. The Anasazi civilization arose as early as 1500 B.C, and demonstrated technological sophistication far ahead of other Pre-Colombian inhabitants of the region and a distinct and different culture. They mysteriously disappeared from their homeland in the Four Corners region of South Western USA by around the end of the 13th century. A site set on a precipitous cliff erroneously known as “Montezuma Castle”, found further south in Arizona. It has characteristics consistent with the Anasazi “Great Houses” further north in the four corners region, from where the Anasazi survivors fled. There is evidence indicating they faced violent persecution and warfare from other peoples — there are many signs of brutal massacres at their settlements. Survivors fled southwards to Arizona and beyond, and their later settlements were even more remote — high on the face of sheer cliffs very difficult to reach. Eventually it seems they were driven — or wiped out — from the region altogether. The name “Anasazi” was given to this culture by another unrelated tribe in the area — it is the name that tribe traditionally used to refer to them. The name means “ancient enemies”. They [the Anasazi] were an eminently peaceful and prosperous people, living by agriculture rather than by the chase. About a thousand years ago, however, they were visited by savage strangers from the North, whom they treated hospitably. Soon these visits became more frequent and annoying. Then their troublesome neighbors—ancestors of the present Utes—began to forage upon them, and, at last, to massacre them and devastate their farms; so, to save their lives at least, they built houses high upon the cliffs, where they could store food and hide away till the raiders left. But one summer the invaders did not go back to their mountains as the people expected, but brought their families with them and settled down. So, driven from their homes and lands, starving in their little niches on the high cliffs, they could only steal away during the night, and wander across the cheerless uplands. To one who has traveled these steppes, such a flight seems terrible, and the mind hesitates to picture the suffering of the sad fugitives. Very interesting and tnanks for this valuable information , seeing how things were in those times and how all the different sights were all connected spiritually in the world and also just wondering what it must have been like to live in those times., so thank you this was very inspiring. Reading about the architecture in different ancient cultures looks like that they had similar building principals and would be quite interesting to know how these traveled all over the world. Like the use of the golden ratio for example. It makes me wonder if I wanted to build something or even look for a new place to live if I should be driven more from the aligments and the sun view instead of the price, type of vegetation, near by markets, facilities and so on. Thanks Mattew for adding on more of these places and ancient cultures. It’s like what left from them even faded can speak to us and show how we could revive the religion of the sun nowadays. I’ve been having the same thoughts Fotis! I found that I’m now looking at location and alignments and visibility of the horizon much more, rather than just looking at material issues as you state. A barbaric end for such a peaceful and advanced people. Finding out that the name they are now known by – “Anasazi” means enemy and was evidently given to them by the people who butchered them makes me very sad. It’s through their enduring architecture that we are able to learn of them, which shows to me how important it is to learn about these sites, as they may be our only link to some of the people from the past who practiced the religion of the sun. I too found it interesting to know what Anasazi means. Who knows what the people called themselves? By the report above, they lived peacefully through agriculture, driven out by people who lived “by the chase” (hunting). There is also evidence (human remains) of Anasazi victims who were cannibalized and their bodies mutilated and desecrated by their assailants, who it seems hunted people for food too. It must have been unbelievably terrible what they faced. I’ve updated this article to explain what happened to the Anasazi people and why they disappeared, because it’s important to know about. Sadly, another common link between this site and Machu Pichu is the violent persecution brought upon the people there. Oral traditions say the survivors of the massacres fled southwards. I wonder if they went as far as South America? Machu Pichu was after all built after these South Western USA settlements were abandoned (or at least conventional dating shows Machu Pichu was built later — not sure how reliable that is), and as people have noted in the comments, there are clear similarities in the architecture and the sort of spirituality they practiced. Could Machu Pichu have been the last stronghold of this culture in the Americas? At the very least it seems the Anasazi and the people of Machu Pichu share a common heritage — perhaps both are descended from a common older culture. That’s a very sad story. Seems like it’s a recurring pattern in different places in the world where the wisdom bringers or people who had higher values and aligned their cultures to the sun are driven out or massacred by other more violent cultures. My thoughts too. Why does this seem to repeat tragically over and over again. A peaceful culture overtaken/driven-out by a more dominantly violent one? And more so, why is it so hard for history to get it right and analyse the true settlers and builders of the ancient sites. Why it the norm that these gentle, peaceful and advanced cultures are literally wiped out from history, and we never hear about them? Thanks very much Mathew for pulling in this extra information, its very interesting and deserves to be known. There are indeed many similarities of the early Americans and those of Mexico and Machu Picchu who may indeed have been forced to migrate and live a nomadic lifestyle. The Kachina dolls of the Hopis in particular resemble the colourful clothing of the South Americans. Just to follow from my previous comment, I think it’s more likely that the site called Kuelap in Peru was the last refuge of the people who lived at Macchu Pichu, as it looks like Macchu Pichu was already abandoned by those who built it before it was discovered by outsiders. So perhaps they moved to Kuelap after leaving Macchu Pichu. I think its probably unlikely that the Anasazi migrated to South America, but its more likely these two cultures derive from common origins going way back, both being descendants of the religion of the sun. Perhaps they new of each other though and even traded. But migrating from North America to Peru would have been very difficult and treacherous, given the Anasazi would have had to pass through the Maya culture of that time which had degenerated into blood sacrifice (or been supplanted by one which did) and the brutal Aztec civilization which practiced human sacrifice en masse. Interesting. Thanks for sharing more information on the matter. It really is mystifying and intriguing to uncover the origins of the culture, especially of one so unknown in that area of the world. And like Priya pointed out, its a shame the name and reputation that has outlived them was the one given by those who violently opposed/disliked them. Oh gosh… I guess once you start studying history a bit more, putting the dates together and employing intuition, an interesting picture starts to form… The rise of degenerated versions of religions and a persecution of the upholders of truth. Either way, there is pretty compelling evidence that Macchu Picchu was occupied in relatively recent history, as well as during a more remote past, so the idea that a group of people migrated there makes quite a bit of sense. 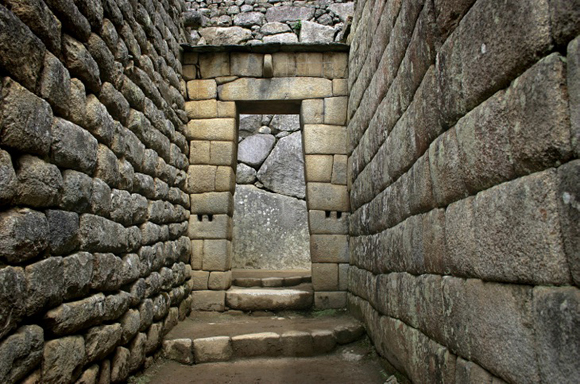 More precise monolithic stonework, like that of some ancient Egyptian sites, forms the main “Sun Temple”, while looser stonework forms many other parts (including Huayna Picchu), suggesting that some parts are much older than others. I really appreciate how precise the ancient cultures of the sun built their monuments, the understanding of advanced mathematics they must have had is profound. Could you imagine what it was like to live in times where the culture was based around understanding the universe both inwards and out. About learning to reunite with the divine, and express that here on earth. Thankfully there is a great community here on the spiritual sun to reclaim these lost connections. Excellent Matthew, I find that this information is so inspiring and extremely valuable to bring forward. Very interesting find. I wonder if awareness is building about the true depth of these sites. Whereas to untrained eyes, or eyes not looking, places like this may seem like impressive but ‘mundane’ structures of our ancestors, to those who can see or are looking, they start to reveal incredible complexity and even make us reassess what we assumed these people to be capable of. Thanks Mathew for bringing another find to the growing evidence of the lost civilization of the sun. It would be really interesting to have lived in places like this at that time in terms of their spiritual alignments and their mirroring of celestial wonders. It made me realise, by just comparing this architecture to our current cold & indifferent modern monstrocities, how far away we have drifted from spiritual connectedness these days and how much perception of naturalness, connection and beauty has been lost. Thanks for this finding, it inspired me. That’s a good point Layla. I find that architecture can have a big effect on me. When a place is beautiful, with sculptures, pleasing geometry, spaciousness, when the light can shine in etc. it can be surprisingly uplifting I noticed. It seems having the environment you live life in be aligned to principles found in nature can be a big help in remembering, and aiding, a spiritual focus in life. Contrast modern cities and the way life is organized in metropolises with older ones — what a difference. I think that’s why many people are drawn to visit quaint little towns, villages, and country-sides as well as ancient sacred sites. They hold a charm and harmony we seem to be rapidly losing. Yes I recall hearing something about modern town/city planning, how often there’s no public squares or those kind of places that invite people to just sit around and socialise with others. That this breeds a kind of alienation between people and that it’s done on purpose. It did shock me when I went to Northe America, how compared to Europe everything felt so ‘cold’ – there was very little sense of community spirit, just big houses and roads in these massive grids. I didn’t see that much (I’m sure there are nicer places) but I was really struck by how unfriendly it felt, though it many ways it was ‘picture perfect’. Yes, I had the same feeling in the USA Ella. I was not sure if it was just me being from a different continent and therefore maybe not understanding the life-style there, but I definitely felt a lack of “cosiness”. I was also surprised that despite a really beautiful weather in California for example, there were very few outside restaurants with flowers hanging and people sipping drinks from some nice cups, talking, observing the life around them, etc. Something like you can see in Italy or Greece for example… Instead, if I did manage to find a place for outside sitting, it was usually not very inviting, without tablecloths, flowers or decorations, and there were very few people there, as they seemed to prefer to take the drinks in the paper cups with them “on the go”. The few beautiful places I did find after a while were usually the places managed by foregners, like for example Japanese tea houses. Now this is not about architecture, but I think it is connected to the general de-humanization of the cities today and the lack of sense of beauty and enjoying life/nature. I agree Jenny about the coldness of today’s architecture. I was also thinking, that it was maybe not even necessary to copy the old style, even glass and modern buildings can be beautiful… I can imagine a structure built from glass and wood for example, with fountains and flowers as a part of it. It seems to me that it is often the “nature element” that is lacking – an inclusion of living things, plants and trees in planning a city. Not speaking about the gardens where people could grow things, or even centralized city gardens and parks. The Venus Project feels so sublime and harmonious, however I can’t help but feel how it is a project for another more evolved time. Given what happens to peaceful advanced cultures, it seems that anyone with a lifestyle more prone to desires of wealth, power, envy and all the other low subconscious drives would ultimately smother the goodness of such an endeavor.. I wonder if the mortar that was used to bind the rocks lead to the conclusion (or assumption) that the structure is around 8 centuries old. More ancient sites, from what I know, used to bind the rocks together by sculpting them. It is interesting that the spirituality of the Sun had survived that long. Seems these people really valued higher principles. Seeing sites like this one discovered in the US is just amazing to me, especially having grown up there and always thinking that the really interesting ancient sites and monuments were located in far away places around the globe — ie. you have to go to Egypt or Easter Island or at least hop the border over to Mexico to find something really remarkable. And even knowing about “local” places like Chaco Canyon, you never hear about mathematical and solar alignments like this, at least not commonly. It’s great that this academic research is coming out, thanks for sharing this site Matthew. Wow, great find, Matthew. I’m really fascinated by sites in the US. There are so many that are very rarely discussed in the media, and many of them seem to have strong connections to Celtic Europe and Egypt. There is also a lot of “building into cliffs” in some of these North American sites, which reminds me of sites in India and throughout Turkey, the Middle East (like in Petra, Jordan), etc. And then just looking at that first photo you can clearly spot architecture in that doorway very similar to South American sites such as at Machu Picchu and Sacsayhuaman (and of course overall at Chaco). Just amazing how this knowledge has traveled the world. Would be interesting if someone was able to make one of those videos showing the alignments at the solstices and equinoxes, though I can sort of picture it based on the similarity of this site and Chaco Canyon and the alignment displays there. Machu Pichu immediately jumped to mind as well for me when seeing that first image. It’s amazing that the more gets uncovered the more it seems that the whole world was connected through the same spiritual principles in our ancient past. You know, I find this quite interesting. I mean, there seem to differences in the way algebra or arithmetics, and geometry work. Geometry to me always seemed more intuitive, almost artistic, and possibly being processed in the “different part of the brain” (speaking alegorically) than algebra. 🙂 So even though these people didn’t have any known number sustem developed, or any written language, they may have been able to process and understand the geometry in a more intuitive way. Not speaking about the face that the civilization that built these structures was probably built on different principles than ours alltogether – emphasizing spirituality and the intuitive knowledge above the more analytical/intellectual approach. That having said, numbers as such definitely have magic about them, which is almost playful sometimes (like for example multiplying the number 9 by anything will always give 9 again, after adding up all the digist of the result). That’s an interesting point Lucia. You can see (or feel, not sure exactly which) balance and beauty in measurements / building / design / nature, so maybe there’s more to maths than what is regularly taught. I imagine if a tour guide, or expert, who has the knowledge of the spiritual side of these sites (sun alignments, sacred geometry, symbols, the ceremonial practices etc.) 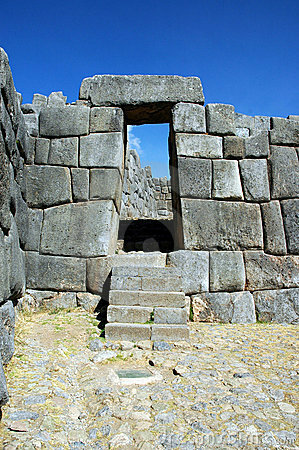 would be guiding tours then how incredible would a visit to ancient sites like this one or Machu Pichu be for people!